Advanced Encryption Package, also known as AEP PRO, is a very easy to use encryption program, even for those users with less computing knowledge. 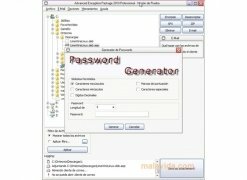 Its main purpose lies in the possibility to protect the contents of the files and folders of a computer by protecting them with a password. Thus, only authorized users will be able to access the visualization of the contents of private documents and images, guaranteeing the maximum confidentiality of these files. - Perfect integration with the Windows Explorer, making it easier to use. - Access to an automatic password generator. 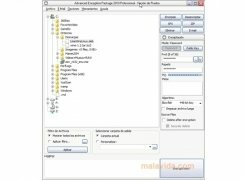 - Possibility to activate secure deletion of the original files once the secure files have been obtained, in such a way that they can't be recovered. 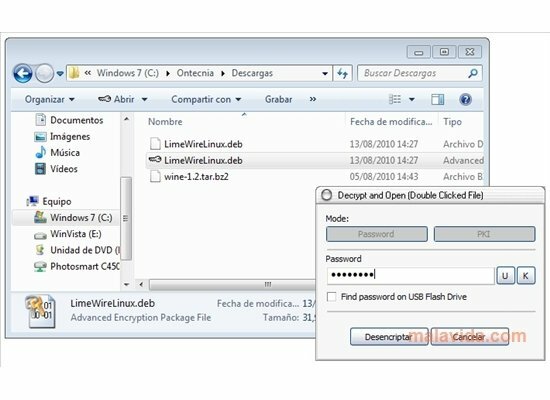 - Protection of external USB storage devices by means of a password to block access to any of the files that they contain. - Support for symmetrical and asymmetrical encryption. - Includes a utility that allows to perform the processes from the command line. The evaluation process lasts for 30 days.